It's the NEW Modern! This rug will bring your room to life with a pop of color! Although it says vintage, it has a very modern approach to it with it's pattern. This is perfectly paired with solid colored furniture, especially if they're neutral colors. This rug is currently ON SALE at Target! Love privacy? Love modern decor? This 36" x 72" window film will be the perfect accessory for your room. Say "Goodbye" to shades and UV rays with this textured film at Target! This 42" x 24" canvas by Threshold will be the eye-catcher in your living room! This screams "I have Culture and a Great Sense of Taste!" But really, it's a beautiful abstract piece of art for the abstract lover. It's subtle tone will blend right into your home décor. It's currently ON SALE at Target! Every modern living room must have a modern lamp. This 60" lamp will fit perfectly in any living room. Slap an accent chair next to it, and you're good to go! This is currently ON SALE at Target! 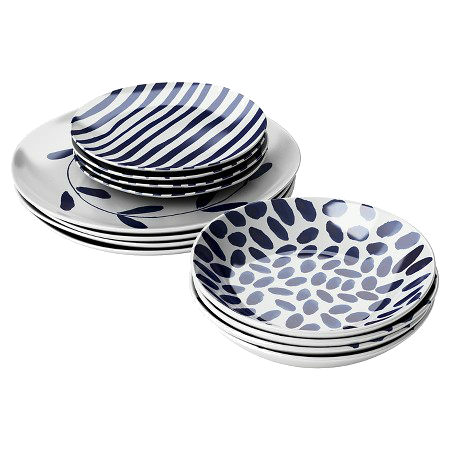 Robert Gordon Indigo Brush Dinnerware Set 12-pc. These plates make the perfect addition to any kitchen with their modern take on old favorites. These hand painted pieces show organic shapes with the classic blue and white contrast that is very inviting to the eye. You and your guests will love the sight of these artistic pieces complimenting your cuisine. It is quite the recipe for perfection! This set contains four dinner plates, four salad bowls, and four cereal bowls and is currently ON SALE at Target. Wine, Please!! Not everyone is a wine expert or a wine opening expert, and we don't always have that friend or significant other who was a server with fine dining experience to help us with our wining endeavors. 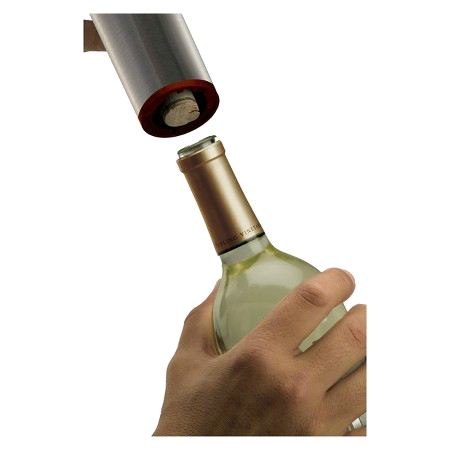 So instead of rolling on the floor with that manual wine opener trying to pop that cork and ripping it to shreds, how about a little help from am electric wine opener? YES, we have electric ones now! Wine and Dine your guests with ease. No more mess! This is currently ON SALE at Target. Don't have a place to hang for fancy glasses? No problem! This cart is perfect for storage and entertaining all at the same time! This cart is white with a hint of smokey gray, which will fit any color scheme. It's contemporary style will surely compliment your kitchen. It's currently ON SALE at Target! Have a kitchen island or nook? Make sure to add these simple, yet sleek bar stools to your collection! We can't have an island without stools, and these stools will compliment almost all kitchen decor. It's currently ON SALE at Target! What items would like like to add to your home? Let us know in the comments below!! Disclaimer: This post contains affiliate links and I will be compensated if you make a purchase after clicking on my links.